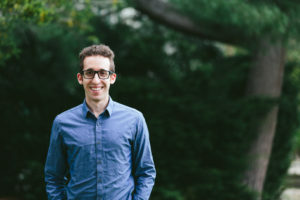 Nick Costa is a Music Educator for the School District of Philadelphia, the Percussion Director at Villanova University, and a Senior Lecturer at the University of the Arts. He is also an independent drummer, clinician, and drum technician with both national and international touring experience. Nick studied at the University of the Arts where he received his Undergraduate in Music Performance, and Masters in Education. During his time at UArts Nick studied privately with Clinician/Educator Marc Dicciani, and Philadelphia Jazz great Jim Paxson Sr.
As an educator, Nick has focused on providing ways to integrate drum set studies into k-12 music curriculum to bridge the gap between general and instrumental music studies. He has also played a pivotal role in integrating “Modern Band” curriculum for the School District of Philadelphia by creating relationships with Conn-Selmer, Zildjian Cymbals, Vic Firth Sticks, Remo Heads, The Recording Academy (Grammy’s), and Little Kids Rock to outsource all 220 schools with drum sets. As a performer, Nick is actively performing around the Philadelphia region with various groups ranging from rock, to jazz trios and big bands, to being a first call musician for local theater groups and schools for their annual musicals. Nick was also a candidate for the Mamma Mia and Green Day’s American Idiot National Broadway Tours in 2014. Along with performing and teaching, Nick also has been a drum tech for numerous drummers including Steve Smith, Dafnus Prieto, Brian Blade, Jason McGerr, Bobby Sanabria, Mike Clarke, Marcus Baylor, and Bernie Dresel, just to name a few. Nick is an educational artist for Ludwig/Musser Percussion, Vic Firth, and Remo drumheads.